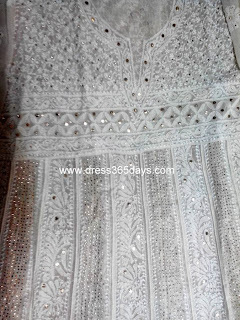 Pishwas Frocks and Anarkalis are much popular among all ages of Women wear. 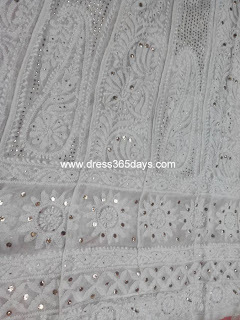 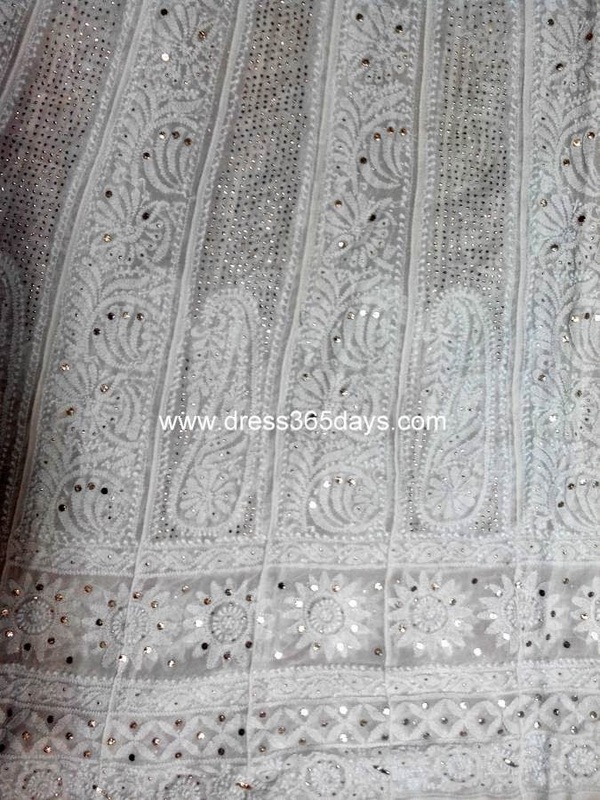 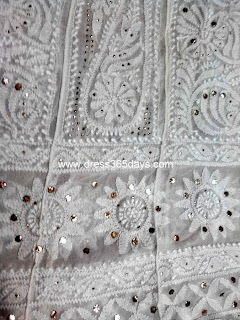 Many working women love to wear chikankari embroidered Pishwas on daily basis. 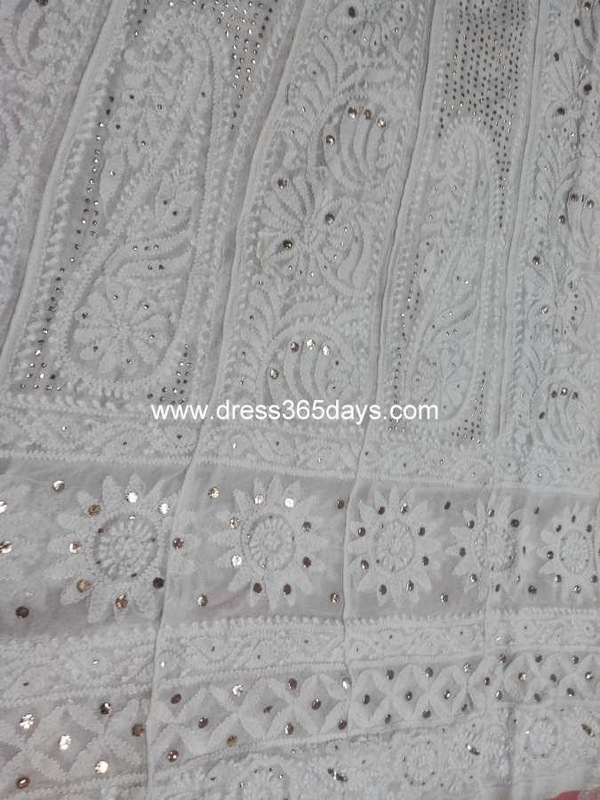 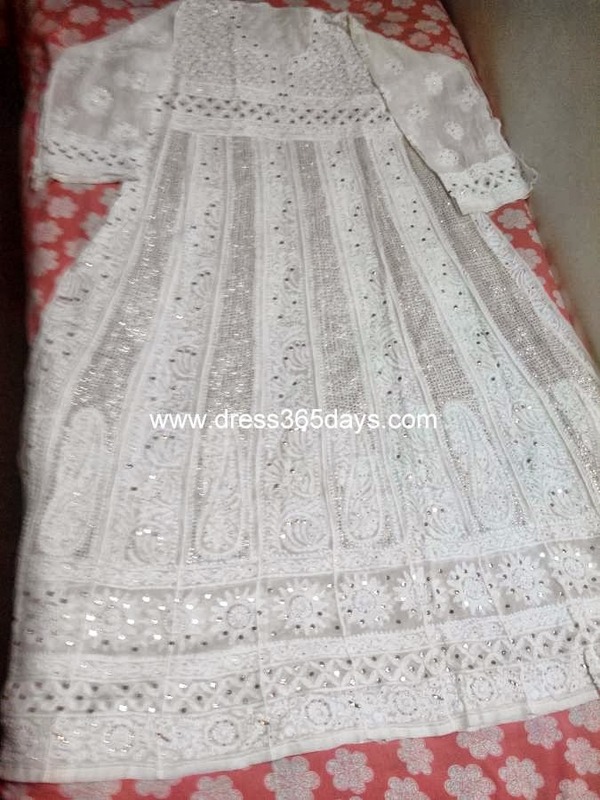 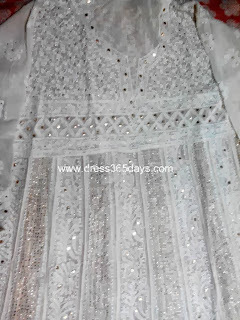 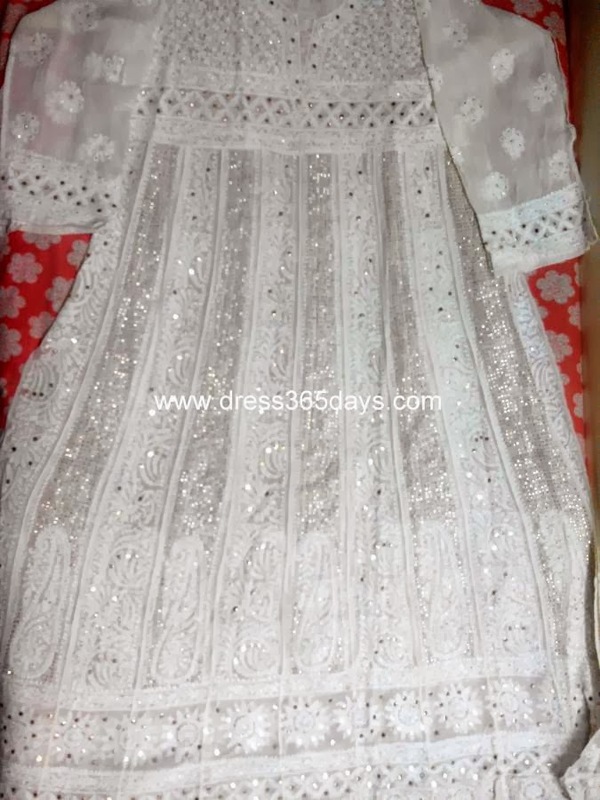 Chikankari Anarkali Pishwas frocks seems to be in fashion and catching up very quickly .It is Traditional dress and available for all size of ladies including plus sizes.Chikankari Pishwas outfit gives you smart,slimmer and beautiful look. 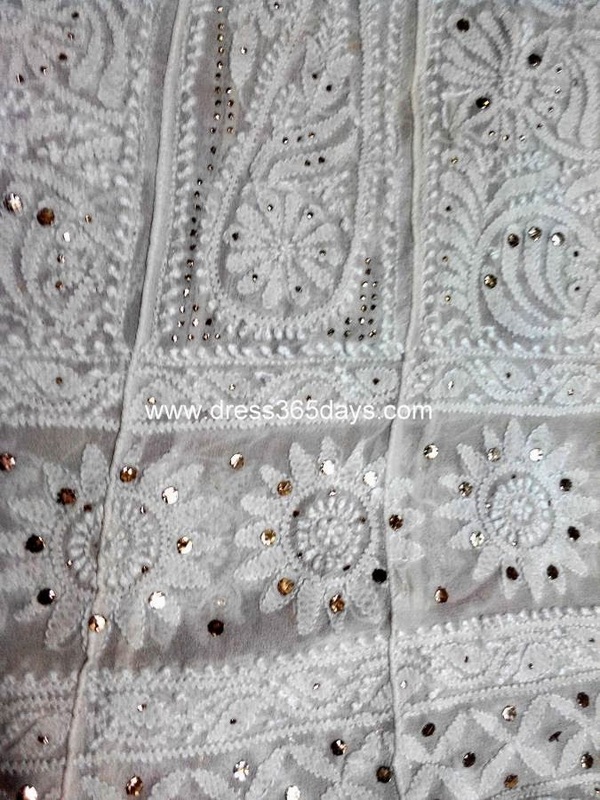 Mukaish and Kamdani work with Chikankari embroidery made these fancy Pishwas Frocks an elegant and sober look. 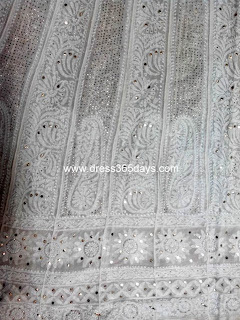 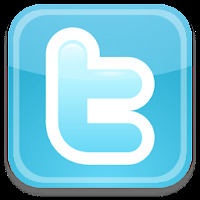 These Pishwas take around 5-8 months’ time get it designed. 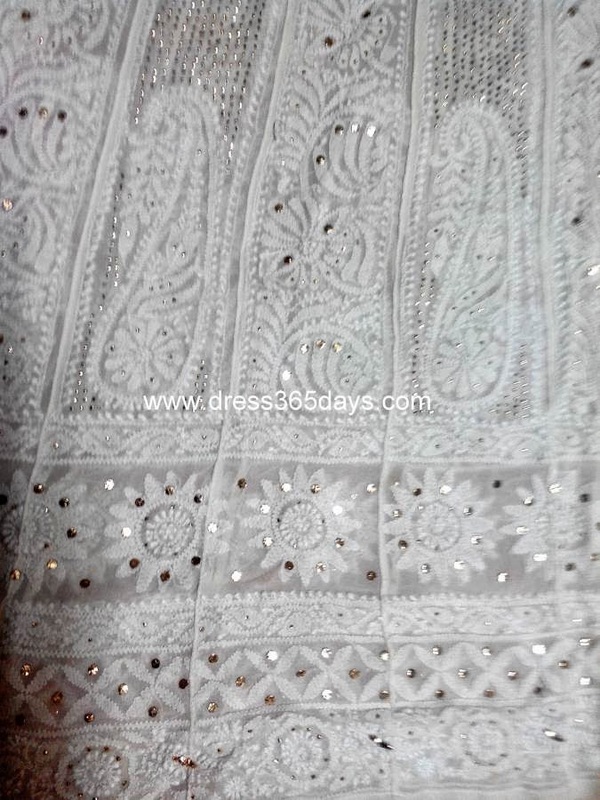 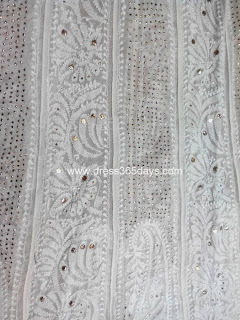 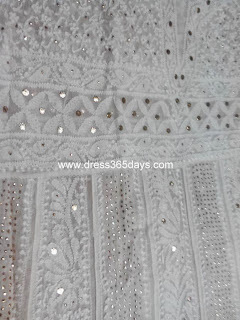 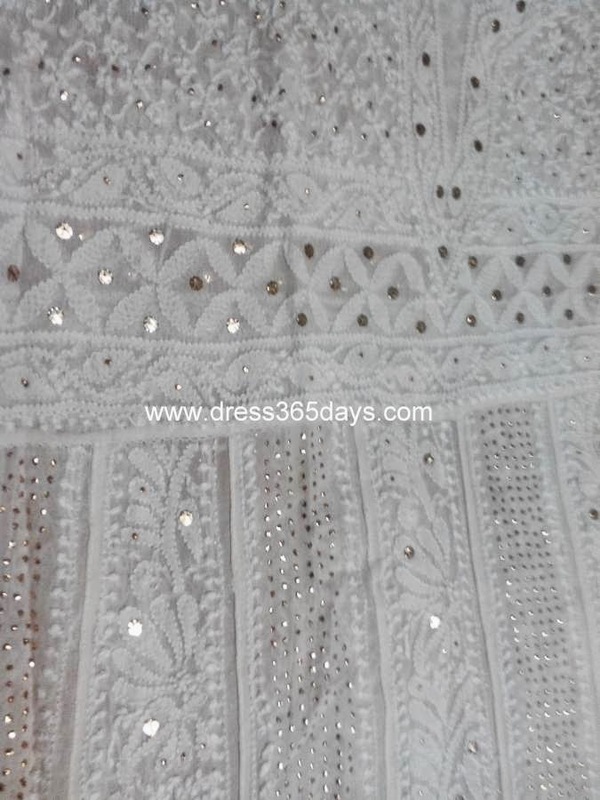 There are 32 types of stitching techniques used in chikankari embroidery. These ChikankariPishwas comes in Pure Georgette, Chiffon and Net Fabric and all in white. 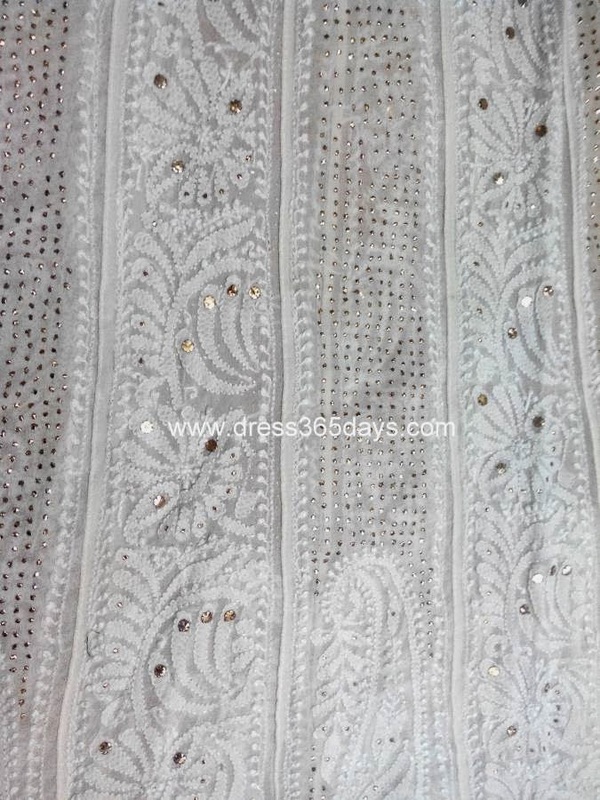 But it can be dyed and customize accordingly. 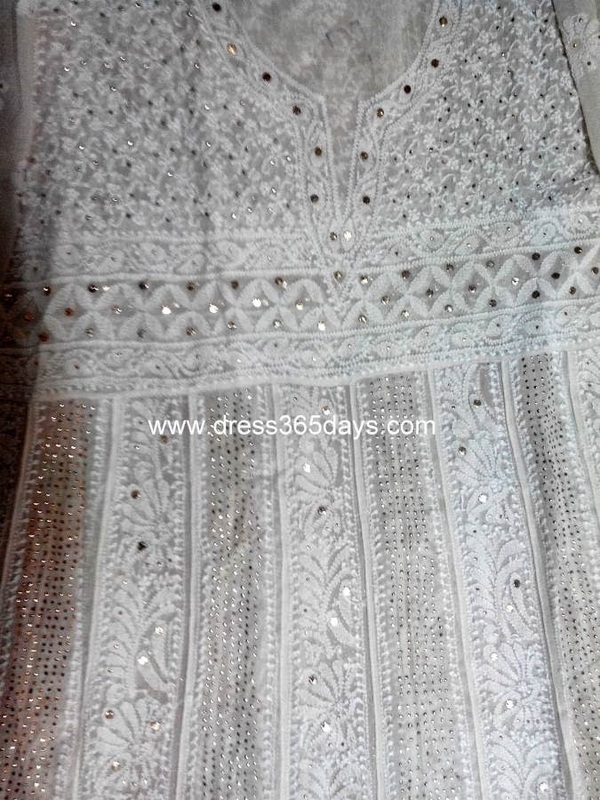 These Pishwas frocks are developed according to new fashion like Long and narrow stitching style is used with variety of embellishment to very dress. 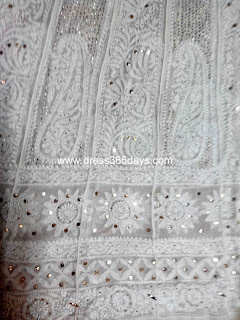 Designer used Lace strips, Embroidery with Stones ,Beads and Mukaish and Kamdani work to the dresses . 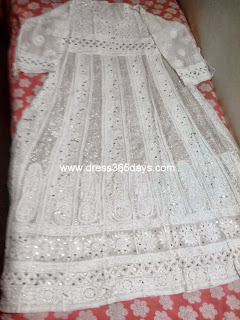 These entire collection of Pishwas frocks is awesome and suitable to wear in eve parties.